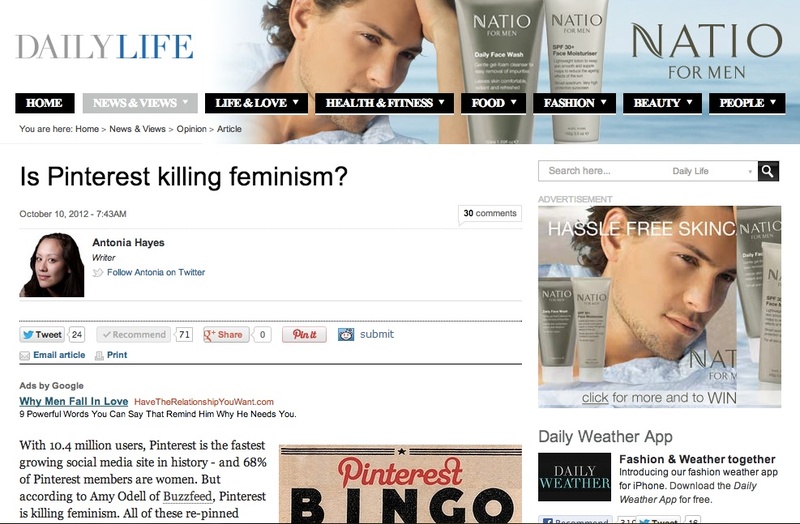 Antonia Hayes » Daily Life: Is Pinterest killing feminism? Daily Life: Is Pinterest killing feminism? Are all the messy French braids, Mason jars brimming with cocktails and preachy inspirational quotes turning the clock back?